1. The most important man in finance. As the head of BlackRock, the world’s largest asset manager, Laurence Fink oversees the investment of more than $4 trillion in assets. The company is so huge and a party to so many federal contracts that many think it’s too big to fail. As a senior bank executive told Vanity Fair, the company is “like the Blackwater of finance, almost a shadow government.” Yet it—and Fink—are barely known outside Wall Street. 2. Deficit slayer. Peter Peterson, the co-founder of the Blackstone Group, a private- equity firm, has funneled $1 billion into the Peter G. Peterson Foundation and other initiatives aimed at reducing the federal deficit, balancing the budget and cutting safety-net programs. His efforts have earned support among the political elite—a classic case of financial capital being converted into political capital. He and his campaign deserve much more scrutiny than they have gotten to date. 3. Equity ≠ equality. Blackstone is one of scores of private-equity firms that have acquired immense wealth by arranging leveraged buyouts, mergers and acquisitions. Others include the Carlyle Group, Apollo Global Management, KKR & Co., Silver Lake Partners and Warburg Pincus. To what extent have they contributed to the growth of inequality and the hollowing out of the middle class? 4. Media-mogul mecca. Every July, media executives gather at the Sun Valley resort in Idaho for a week of schmoozing and deal-making with bankers and financiers. A select group of journalists is also invited (participants have included Charlie Rose, Ken Auletta, Tom Brokaw and Thomas Friedman), but because the conference imposes a strict blackout on its proceedings, coverage is scant. An account of what takes place there could offer insight into the forces contributing to media concentration in America. 5. The plumpest of them all. Depending on the year, Carlos Slim is either the first-, second- or third-richest man in the world. Slim’s telecommunications companies dominate the provision of fixed lines and mobile phones in Mexico, enabling them to charge outrageously inflated prices. His operations have contributed to the endemic poverty in Mexico that drives so many migrants to the United States. In the last year, his empire has finally become a target of Mexican antitrust regulations, but his name rarely surfaces in the American press. As it happens, he recently became the largest individual shareholder in The New York Times. It’s time for the paper to show that such an investment can’t buy silence. 6. Healthy debate. 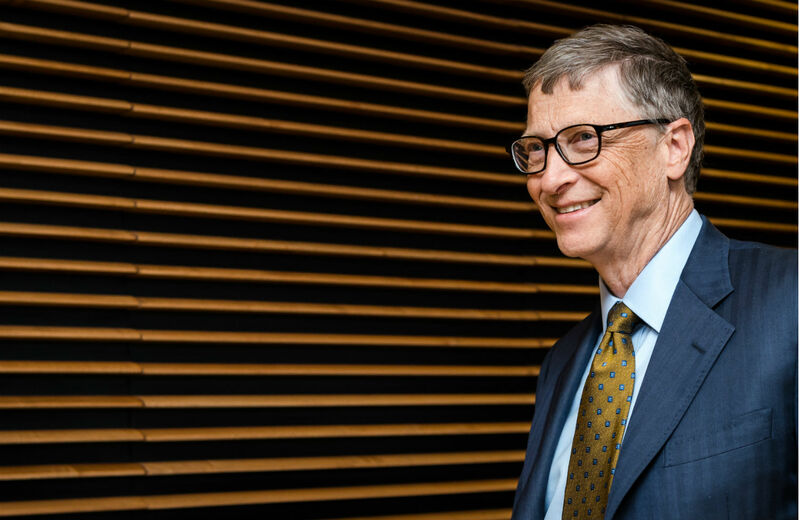 Since the creation of his foundation in 2000, Bill Gates has donated about $30 billion to organizations working in global health and development, with a special focus on Africa. While such money has clearly done much good, it has also spurred complaints that the foundation’s efforts to combat specific diseases have diverted doctors and other health-care providers from urgently needed routine care. 7. Charters and Wall Street. Bill Gates has also contributed billions of dollars to promote charter schools, standardized testing, the Common Core and reducing school size. The charter-school movement as a whole has been heavily backed by private-equity investors, hedge-fund managers and the Walton Family Foundation (led by the family that founded Walmart). Through such efforts, the American oligarchy has become the dominant force in shaping education policy, pushing schools to adopt market-based solutions and—in the eyes of critics—undermining support for public education. Documenting the activities of those involved could be a beat unto itself. 8. Image management. Now that former New York Mayor Michael Bloomberg has resumed control of the financial and media company he founded, his close ties with Goldman Sachs are posing potential conflicts. In March 2012, Mayor Bloomberg visited the company to show his support during a bout of bad publicity. After leaving office, he agreed to serve as an advisory co-chair of Goldman Sachs’ 10,000 Small Businesses program, which seeks to foster growth in that sector, and has appeared at events with Goldman chief Lloyd Blankfein. How is this relationship affecting coverage of the firm by Bloomberg’s news division? 9. Blue-chip white shoes. David Boies is perhaps best known for arguing the case before the US Supreme Court to overturn California’s gay-marriage ban. But he is also a top corporate litigator whose clients have included Philip Morris, Texaco, American Express and former Enron executive Andrew Fastow. Currently, he’s representing former AIG head Maurice Greenberg in his suit against the federal government, which alleges that the 2008 bailout of that company was unfair to shareholders. Boies is but one of a group of expert litigators dedicated to protecting the wealth of oligarchs and keeping them out of prison. 10. Buying minds. The documentary Inside Job showed how professors at business schools profit from unreported consultancies and directorships, creating potential conflicts of interest. Less attention has been paid to the donations that corporations, banks and entrepreneurs make to universities. In 2011, for example, Citigroup gave $25 million to Columbia, Harvard, MIT, Stanford and Yale to research the “financial services landscape” as it relates to technology, innovation, globalization and consumer behavior. “I believe banks should play a leadership role in advancing the conversation on the future of finance,” Vikram Pandit, then the chief executive of Citigroup, said in announcing the grant. Hundreds of similar grants have been made to establish programs and chairs in a range of fields—all seeking the “intellectual capture” of the academy and, through it, of the American mind. It’s a subject ripe for sustained inquiry. A hat tip to Chrystia Freeland’s book Plutocrats, which inspired some of these suggestions.